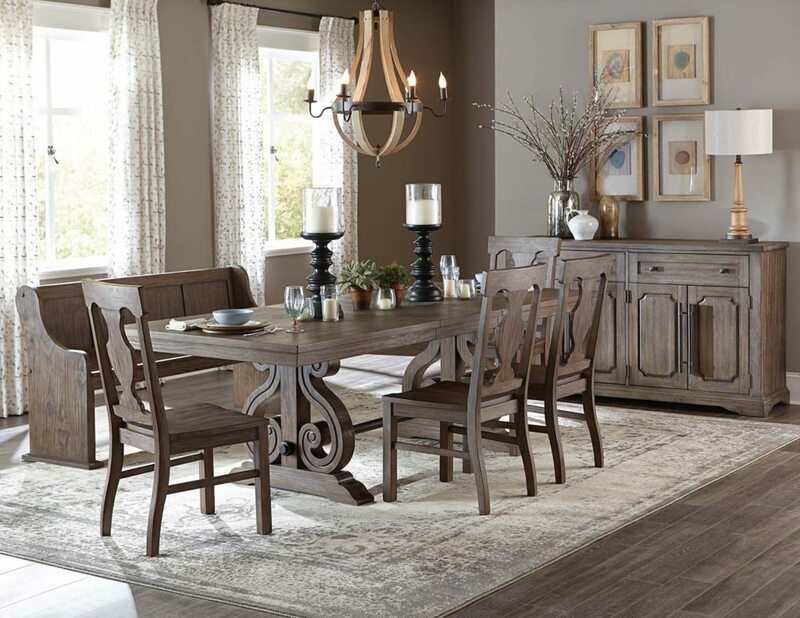 Tags: bold curves, dining table, homelegance, table, trestle base, wood. Loving the bold curves on this beautifully designed dining table with metal trestle, by Homelegance. Tags: bench, dining set, dining table, grey, pewter, rustic, table, trestle, wood.